The fifth sectorial conference of Casa Rio, the most extensive business development program ever conducted in the country, will deal with the potential for business related to Sports. 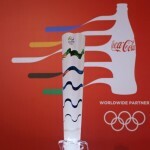 The event, scheduled for July 25 at Museu do Amanhã, will gather global sporting event sponsors, international sports marketing agencies, media outlets, and authorities responsible for developing public policy on a domestic and global level. 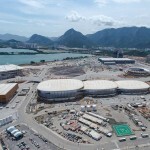 Casa Rio – Business of Sport will be divided into two main themes for debate. The first session will deal with Brazil and Rio de Janeiro’s potential for sports, and what are the requirements for creating a global sports hub. Sports as a catalyst for new business wil be the theme of the conference’s second session. New opportunities in the sector, as well as the positive impact on companies already established are on the agenda.